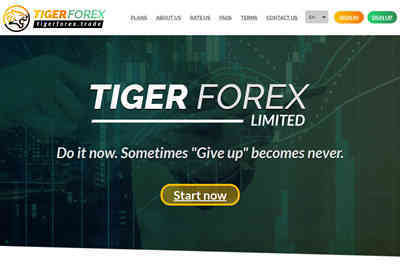 Tiger Forex Limited - виртуальная валюта и торговля иностранной валютой. Компания зарегистрирована в United Kingdom.we проходит неустанную аналитическую работу, высококвалифицированные специалисты разных профилей: трейдеры, аналитики, эксперты по мировой экономике, менеджеры, разработчики, программисты и т. Д. хорошо скоординированная работа всей команды сотрудников, основанная на взаимодействии и реагировании на малейшие изменения в рыночных условиях, является ключом к общему успеху нашей компании. 07.11.18 06:57 Transfer Sent Payment: 200.00 USD to account U18781538 from U1294xxx. Batch: 235089306. Memo: Shopping Cart Payment. Deposit to tigerforex.trade User allhyips. 08.11.18 12:06;Account;Receive;Received Payment 20.00 USD from account U18781538 to account U1294000. Batch: 235246663. Memo: API Payment. Withdraw to allhyips from tigerforex.trade. 08.11.18 05:34;Account;Receive;Received Payment 20.00 USD from account U18781538 to account U1294000. Batch: 235206724. Memo: API Payment. Withdraw to allhyips from tigerforex.trade. 10.11.18 05:55;Account;Receive;Received Payment 10.00 USD from account U18781538 to account U1294000. Batch: 235446312. Memo: API Payment. Withdraw to allhyips from tigerforex.trade. 12.11.18 07:10;Account;Receive;Received Payment 10.00 USD from account U18781538 to account U1294000. Batch: 235658758. Memo: API Payment. 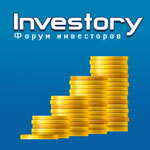 Withdraw to allhyips from tigerforex.trade. 11.11.18 05:47;Account;Receive;Received Payment 10.00 USD from account U18781538 to account U1294000. Batch: 235548398. Memo: API Payment. Withdraw to allhyips from tigerforex.trade. 13.11.18 11:21;Account;Receive;Received Payment 10.00 USD from account U18781538 to account U1294000. Batch: 235821792. Memo: API Payment. Withdraw to allhyips from tigerforex.trade.